LEVITTOWN, Long Island (WABC) -- A Levittown business owner was arrested after police said he got violent with a reporter who asking him about his controversial remarks on social media about a fallen firefighter. Jeremy Henggeler, 40, allegedly posted on Facebook that FDNY Firefighter William Tolley, killed in the line of duty, was a "parasite" because of the money he was losing from traffic caused by the funeral procession. "Stuck in traffic for over an hour, with no escape options, all because some agent of the state died," the post read. He went on to describe firefighters as "parasites" and used profanity in the post. 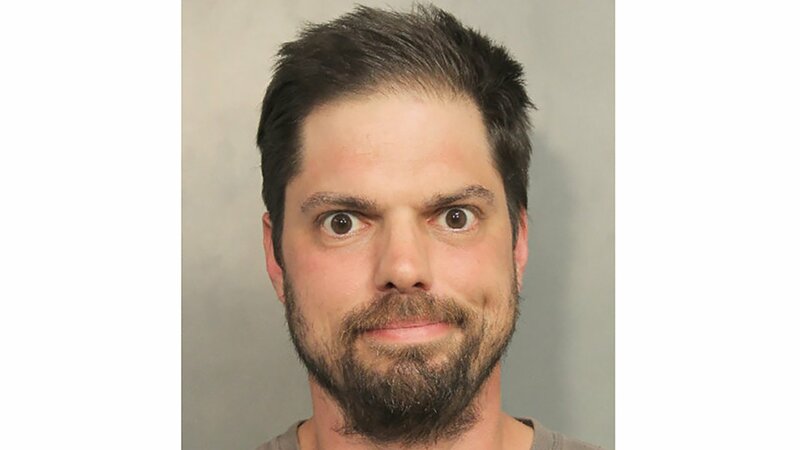 According to Nassau County Police Department, when a reporter asked 40-year-old Henggeler, owner of Jay's Sit and Stay, about the post, he displayed a knife and said that was his comment. Police responded, and Henggeler was charged with menacing and criminal possession of a weapon.